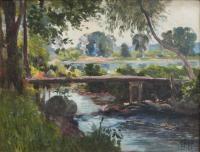 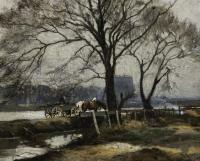 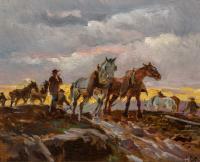 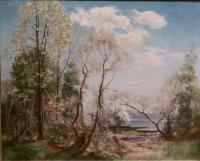 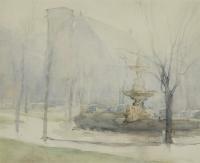 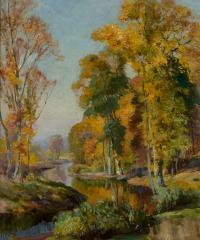 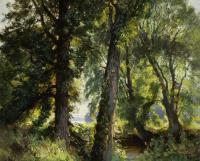 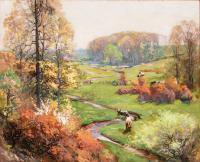 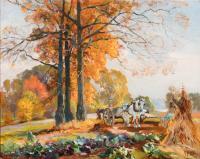 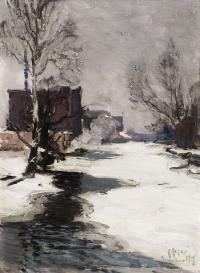 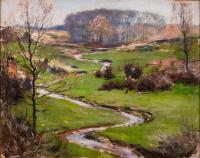 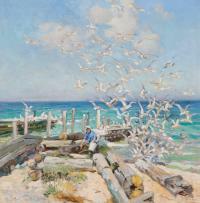 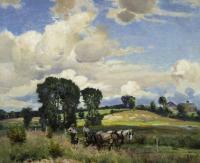 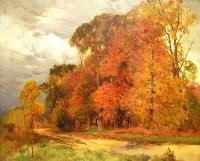 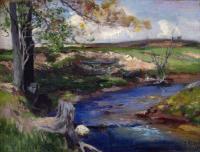 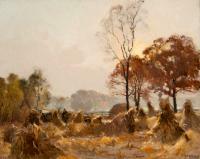 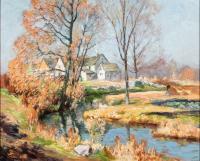 Much of Alten's work in the early 20th century centered around landscapes. 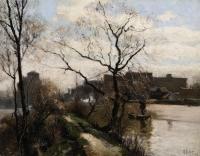 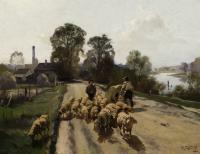 While most followed a common theme of rural labor, this work is a rare exception, depicting the view looking northwest of the Bridge Street bridge in downtown Grand Rapids, Michigan. 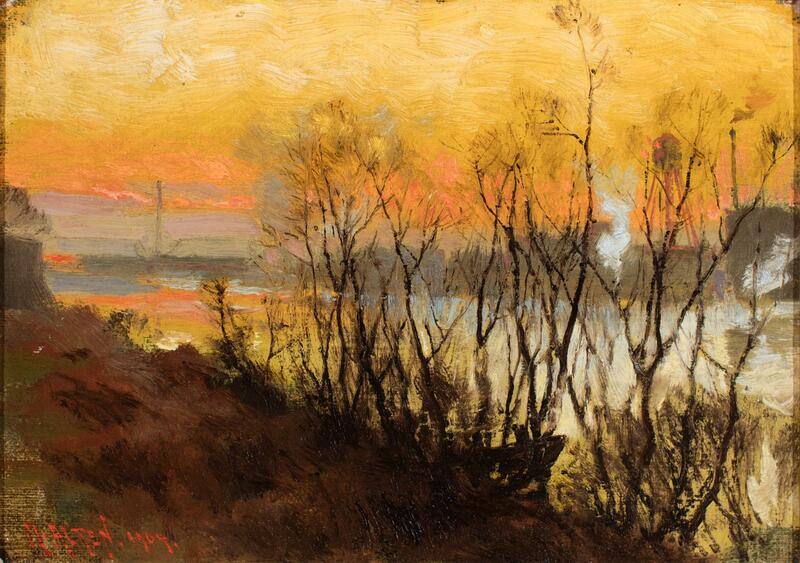 Leafless trees in foreground, river behind and bright sunset in background.